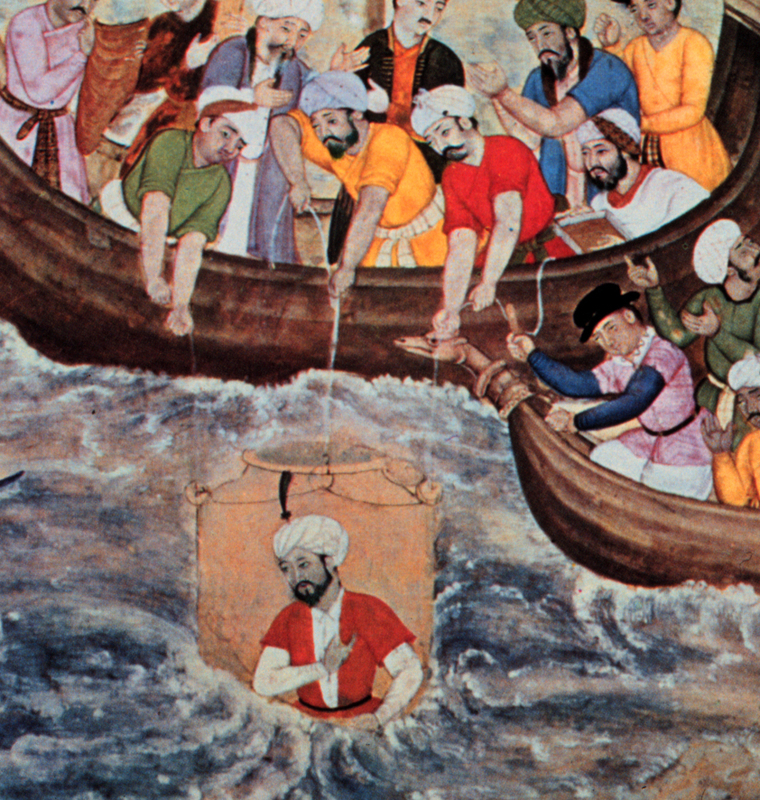 One of the first account of humans using devices to go underwater would date back to Alexander The Great. Although it cannot be proven and comes from stories depicted and passed through time. In the famous battle of Tyre, Alexander the Great used demolition divers to remove the underwater obstacles protecting the harbor. According to many depiction Alexander was lowered in a glass bell or a metal framed with white glass to oversee the work being done.